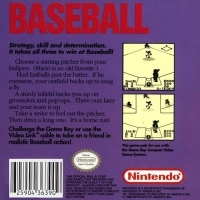 Box Text: Strategy, skill and determination. It takes all three to win at Baseball! Choose a starting pitcher from your favorite bullpen. (Mario is an old favorite.) Hurl fastballs past the batter. If he connects, your outfield backs up to snag a fly. A sturdy infield backs you up on grounders and pop-ups. Three outs later and your team is up. Take a strike to feel out the pitcher. Then drive a long one. It's a home run! 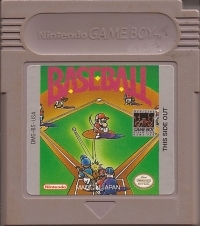 Challenge the Game Boy or use the Video Link cable to take on a friend in realistic Baseball action! 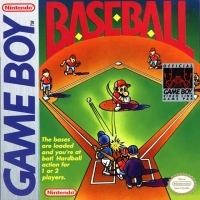 This is a list of VGCollect users who have Baseball in their Collection. This is a list of VGCollect users who have Baseball in their Sell List. This is a list of VGCollect users who have Baseball in their Wish List.